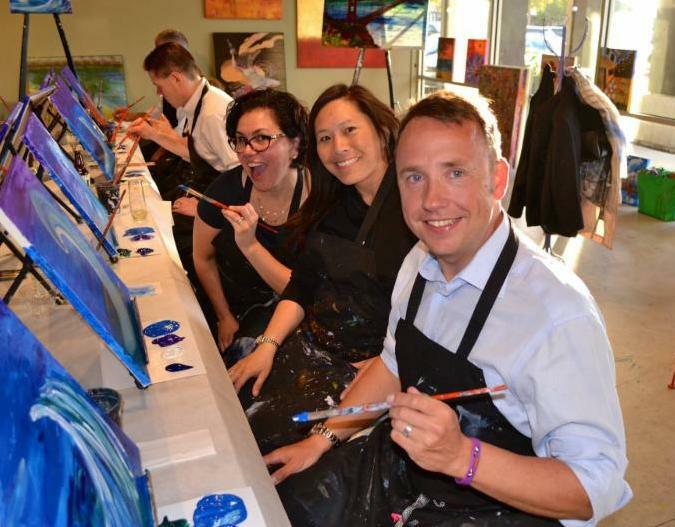 Want to host a unique, private paint party? Want a fun birthday or anniversary experience you'll never forget? Looking for a creative venue for a fundraiser? 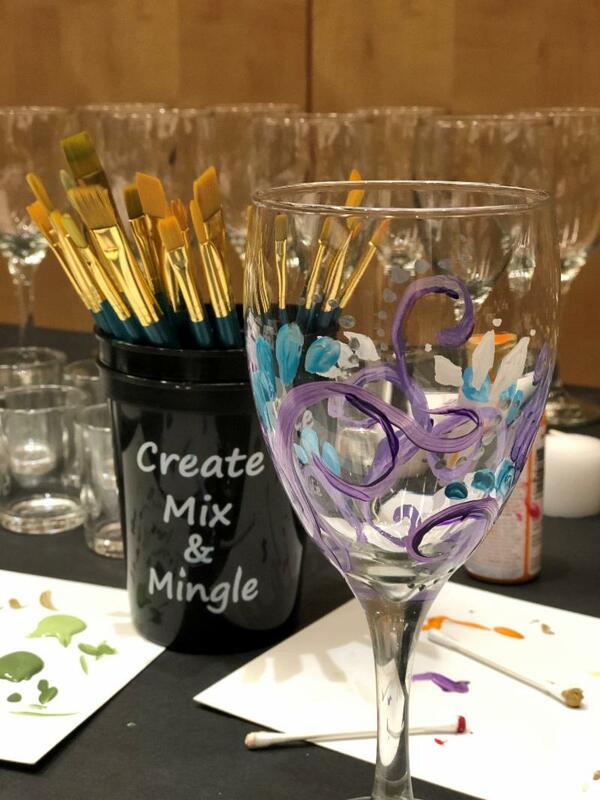 Host your next event with Create Mix and Mingle! 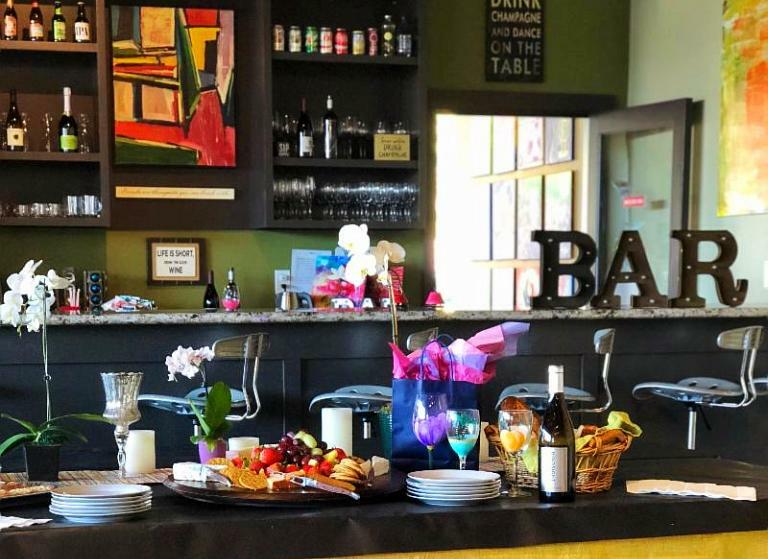 Our "Paint & Sip" adult studio is great for birthday parties, anniversary dinners, bridal showers, baby showers, holiday parties and more! Our spacious studio can accommodate 100+ painters. 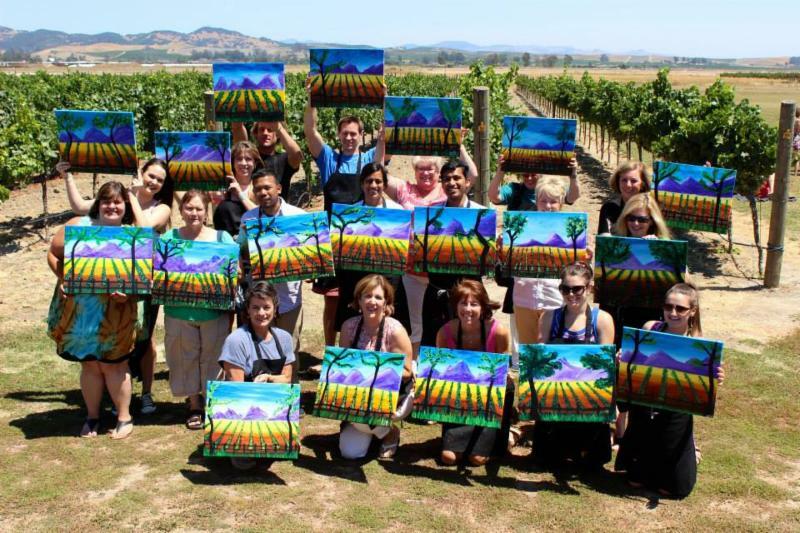 We provide all the paint materials you need; the canvas, easel, brushes, paint, apron and a private professional art instructor to guide your group. Choose a painting from our gallery, or have our artists create a custom painting just for you at an additional charge. All guests paint the painting you choose. Our studio has an on-site Wine Bar with beer, wine, champagne, soft drinks and non-alcoholic beverages available for purchase. A wide range of catering options are also available from nibbles and sweets to full course meals. Minimum number of painters required for a private event varies by day of the week and time. 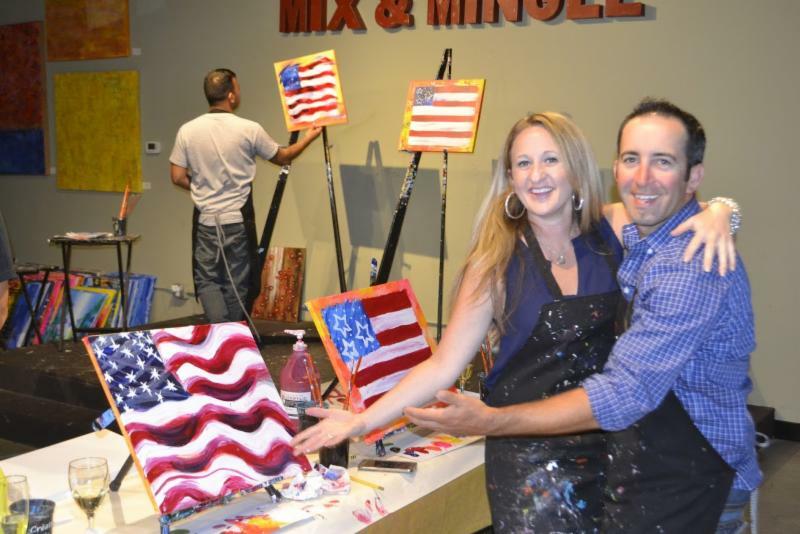 Private Paint & Sip Events are for a 3 hour party at $45 per painter. Additional charges for catering and bar services may apply. Please contact us for a quote. Please email info@createmixandmingle.com or call (650) 434-2781 for more information or to schedule an event. Want to have your private event at the location of your choice? Hosting a dinner party and want a little added entertainment? Let us bring the fun to you! Off-site private events can be booked any time for a minimum of 15 painters or 15 paid spots. Our staff will arrive early to set up and help with clean-up. You choose the painting! Visit our online gallery, or contact us to stop by our studio and check out our paintings in person. 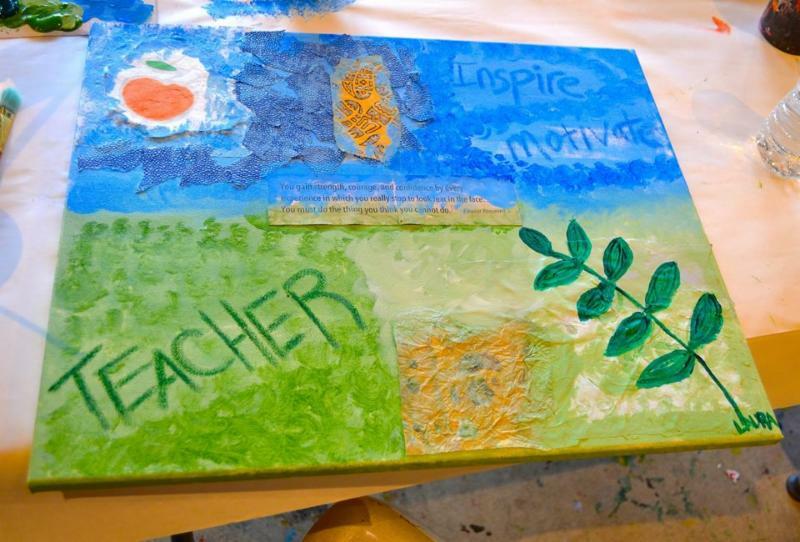 An off-site event is $45 per painter and includes an instructor and all materials - 16" x 20" canvas, paints, brushes, aprons, easels, and all equipment necessary for the class. There is a $150 fee for travel, set-up and clean-up for destinations within 20 miles from our studio in San Mateo, and an additional fee for destinations greater than 20 miles. Please contact us for a quote. Please email info@createmixandmingle.com or call (650) 434-2781 for more information, or to schedule an event. Give Back & Get Inspired! Create Mix & Mingle strives to give back to our local community. We are committed to helping non-profits raise funds for their cause by hosting fundraising events in our studio and donating a portion of the proceeds to the organization. Please email us at info@createmixandmingle.com or call (650) 434-2781 to schedule a fundraising event for your organization.